The island of Amakusa in Kumamoto Prefecture isn’t exactly easy to get to. To access the area you have to either fly or drive for many hours. 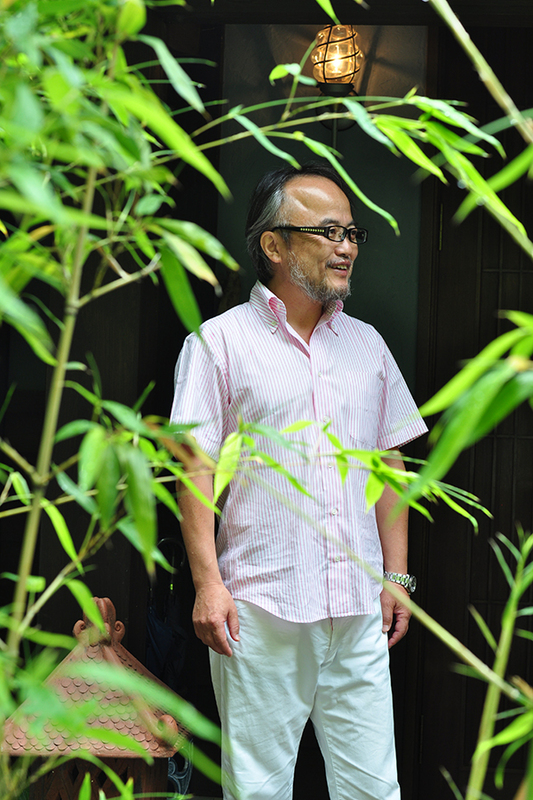 In spite of this drawback, Hirofumi Yamasaki, the sixth-generation owner of the Igaya Ryokan, not only committed himself to continuing his family business, he also established a brand-new inn in his hometown. 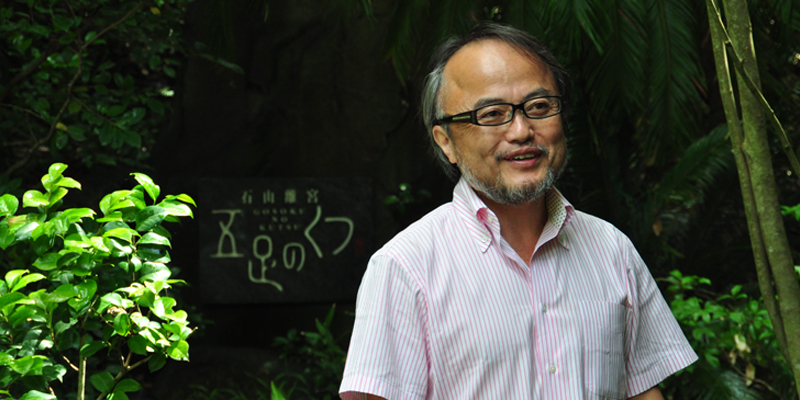 Hirofumi Yamazaki traveled around the world, and came back feeling confident that his hometown, Amakusa, had the potential to be a world-class resort. For him, Amakusa is not merely the western end of Japan; it stands at the very center of Asia. Before building this inn, Hirofumi spent ten years studying Amakusa’s history and culture, so that the completed inn would reflect the location’s Christian history – a time of glory and sorrow. Around the inn, you can find scenic fishing villages, warm-hearted local people and rich seafood in streams flowing to the sea from lush mountain forests. Amakusa is one of the first areas where Christianity was introduced to Japan in the sixteenth century. European music, ideology and technology arrived together with Christianity. Japan's first printing press was brought here, and examples of world-class printing include locally produced "Amakusabon" (such as the Heike Story Book and Isope Fables, which were exhibited in England). Amakusa in those days was a place where Japan met Europe - differing cultures coming together and creating something new. People on the islands came to assimilate Western culture into their customs, creating their own unique lifestyles. Hirofumi says Amakusa's culture is one of harmony between the East and West. This sixteenth-century juxtaposition of East and West, like the Asian concept of light and shadow, is expressed in his inn. 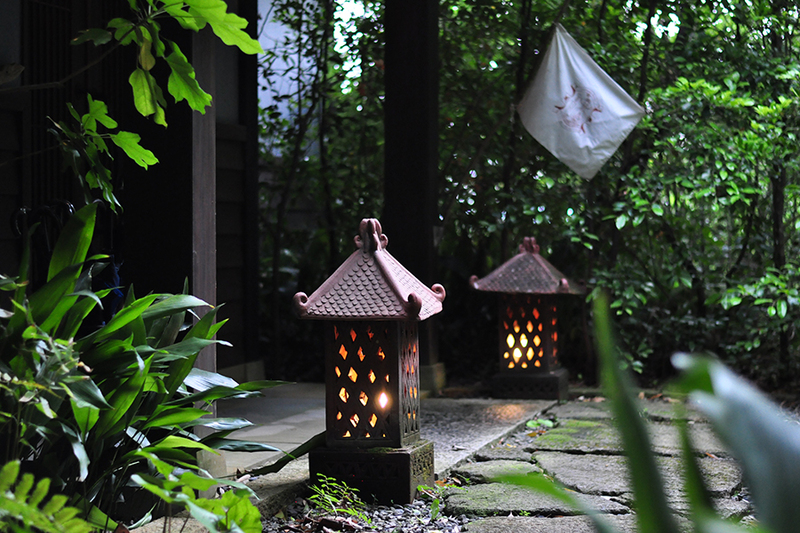 For instance, the inn's outward appearance draws on Buddhist and Shinto elements. 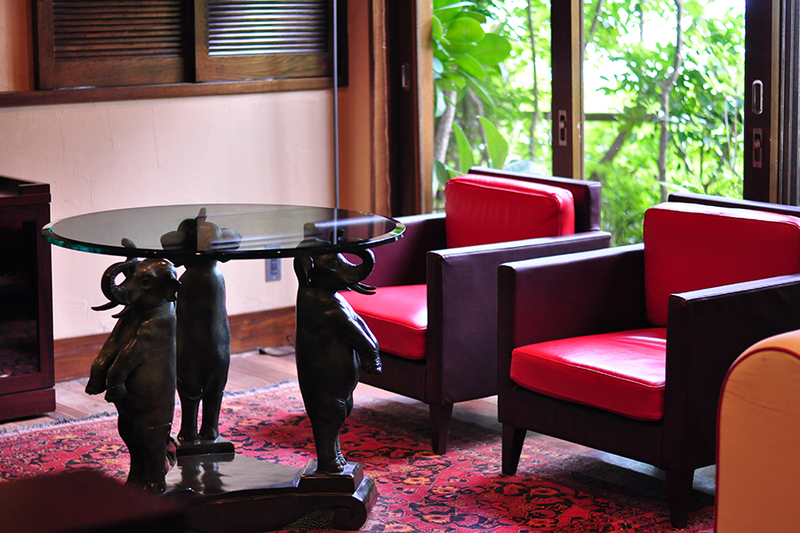 Inside, you can enjoy traditional Japanese cuisine within a space reminiscent of a church or monastery. Ishiyama Rikyu Gosoku-no-Kutsu was created to reflect this rich background of Amakusa's history. Experts on Japanese ryokans praise Gosoku-no-Kutsu for a number of special features - its unique concept, its elegant design, its own hot-spring source, and its delicate cuisine among them - rating it as one of the essential inns to visit in Japan. The inn’s hard-to-reach location has actually turned into an attraction in its own right. When you’re staying at Gosoku-no-Kutsu it is rare to run into staff members or even other guests - often it feels like you have the entire villa to yourself. And unlike in typical onsen inns, there’s no need to inform the staff about your breakfast and dinner times. “Guests have come a long way to stay here, and it would be inconsiderate to restrict them with regard to time,” said Hirofumi. He explained that because these rules have been eliminated, guests can spend their time without restrictions, and they are free to eat and enjoy the hot springs anytime they want. “Our guests are the main characters, while we are the supporting cast assisting them with their journey,” said Hirofumi. Gosoku-no-Kutsu is located on a steep coast facing the East China Sea in the western part of Kyushu. 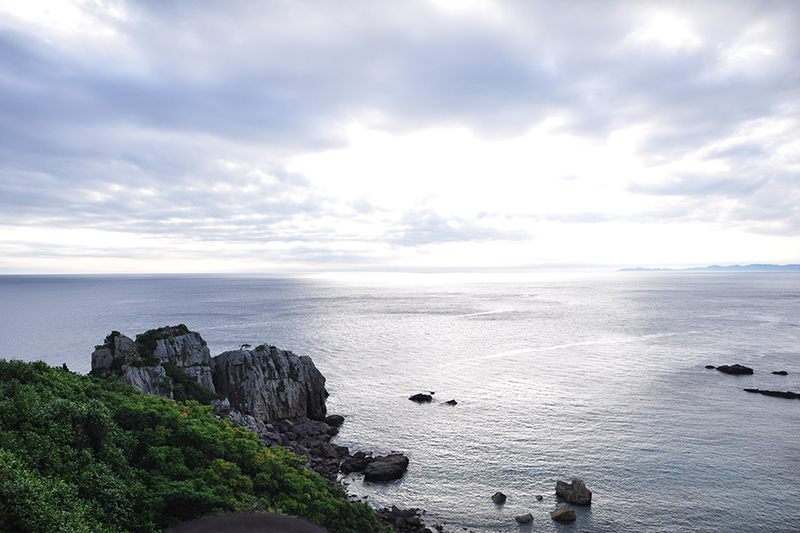 We built Gosoku-no-Kutsu on a breathtaking mountainside covered with native forest and facing the sea. 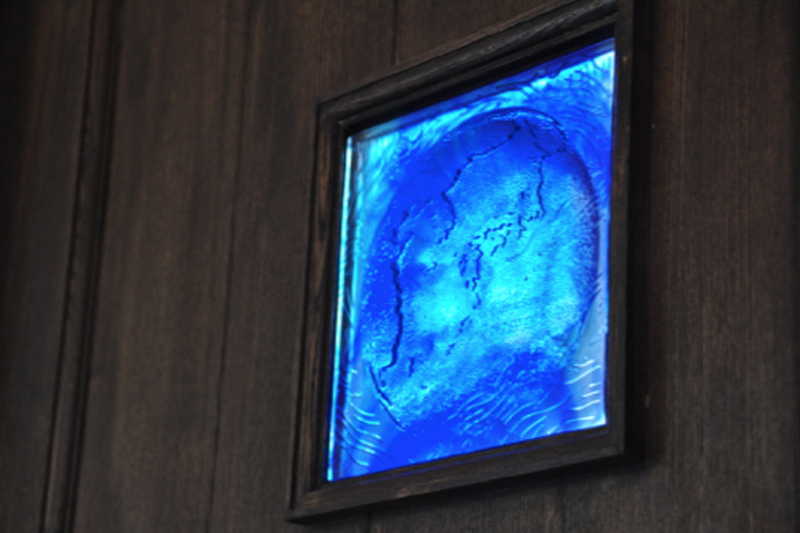 Here you are surrounded by nature - the blue sea, the dark blue sky and the bright sun. The setting may make you reconsider the very essence of travel, to be inspired by direct contact with the people and the culture of the land. Surrounded by the sea, Amakusa is a treasure house of seafood. The mineral-rich soils of nearby farms and fields also provide a harvest of excellent vegetables. There are cattle, pig and chicken farms on the islands, taking advantage of the mild climate and the natural terrain. 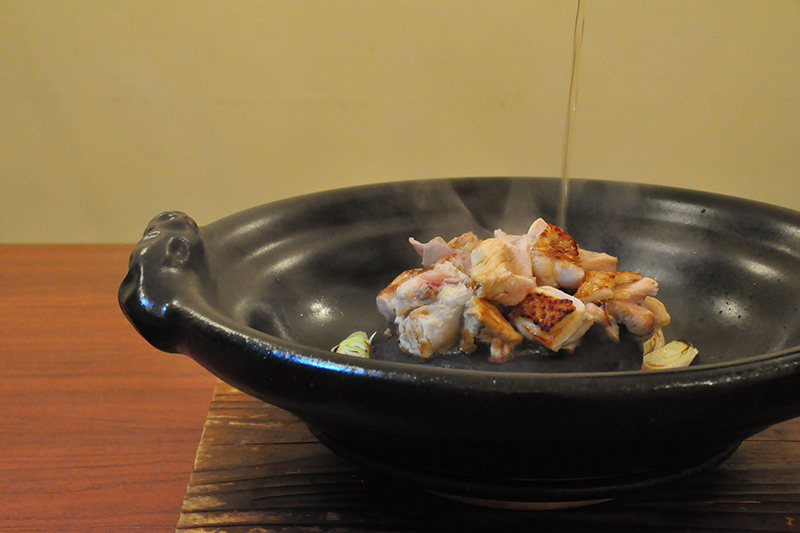 Our tea-ceremony style dishes using fresh local ingredients will make you feel like you have arrived home. Gosoku-no-Kutsu's outdoor baths are all fed by natural hot springs. 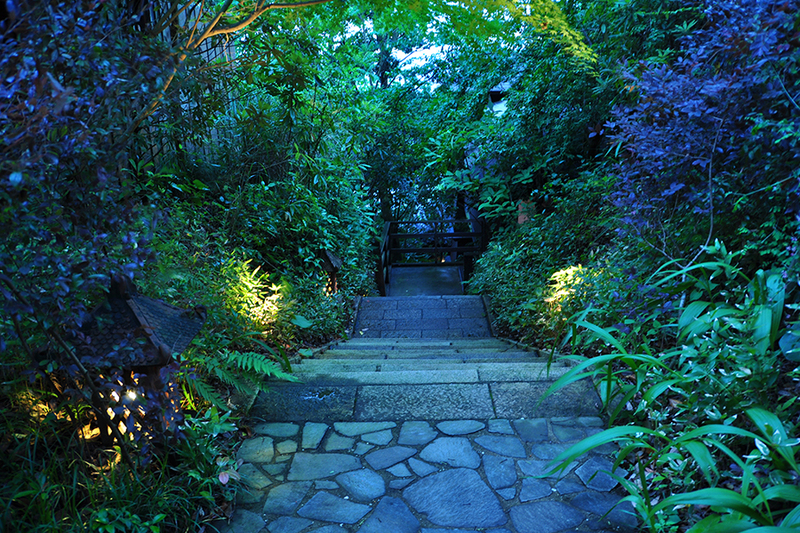 The nearby village of Shimoda has been known for more than 700 years for the quality of its hot springs. Instead of a big outdoor communal bath, Gosoku-no-Kutsu provides individual baths in each villa, so that guests can feel free to use them at any time, day or night. 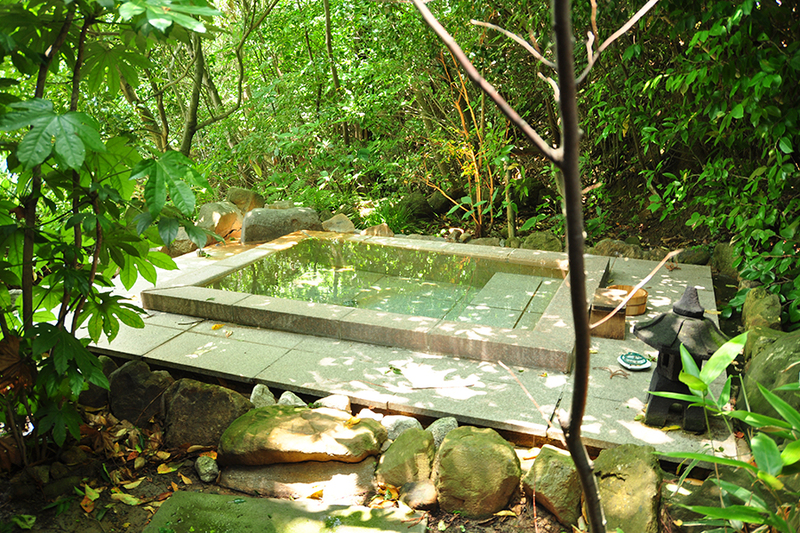 In Villas A and B, the hot-spring water comes from nearby Shimoda. Villas C get their hot-spring water from our own 450m-deep well, located on the premises. Ishiyama Rikyu Gosoku-no-Kutsu was established in July 2002 in the Amakusa Islands on the western coast of Kyushu. Initially there were ten individual units, called Villas A and Villas B. In 2005 five more villas were added. These Villas C are situated higher on the hillside than Villas A/B, and feature a different view, cuisine, and atmosphere. 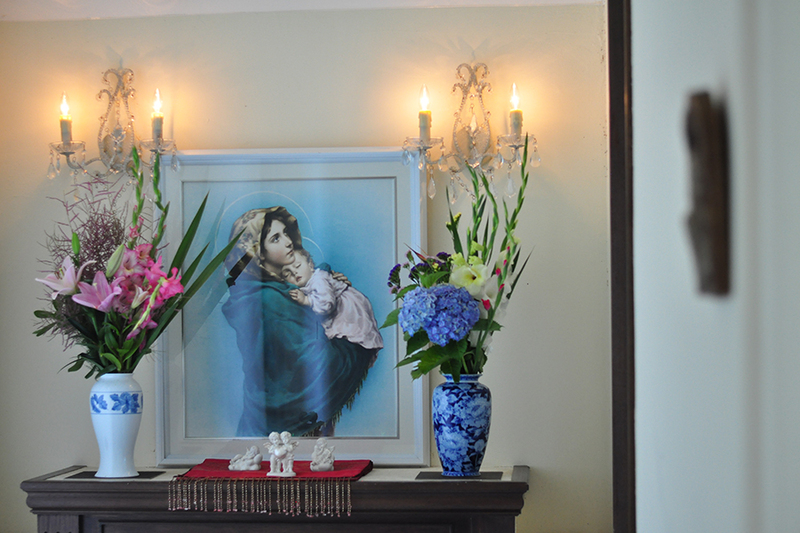 The theme of Villas A/B is "the Center of Asia"; Villas C's theme is "Christianity Comes to Medieval Amakusa." Gosoku-no-Kutsu staff are locally employed; indeed the inn's owner is also a local resident. We are all very excited to welcome our guests, and would like to extent our most cordial Amakusa hospitality at this remote inn. We wish you a wonderful journey, and we will do our best to make your stay as comfortable as possible. The name Ishiyama means “Stone Mountain,” and indeed porcelain stone is quarried in the mountains nearby. The stone is of a very high quality, and seventy percent of Japanese ceramics makers, including the renowned Arita-Yaki, Seto-Yaki and others, use it in their production. 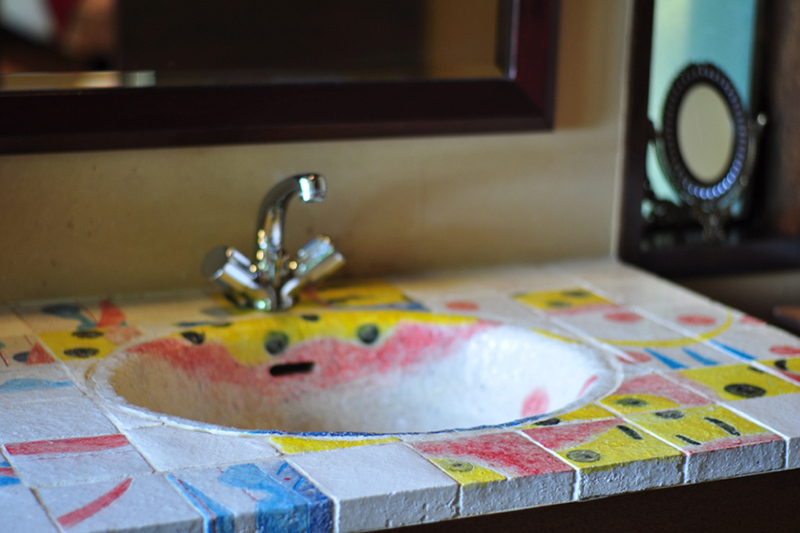 Gosoku-no-Kutsu is furnished with various plates, basins and ornaments made by local potters using this stone.